This year for Easter, GHCC asked me to design a 6 foot by 40 foot banner that would stretch across the choir risers on their stage. I was thrilled to be able to design something this big. 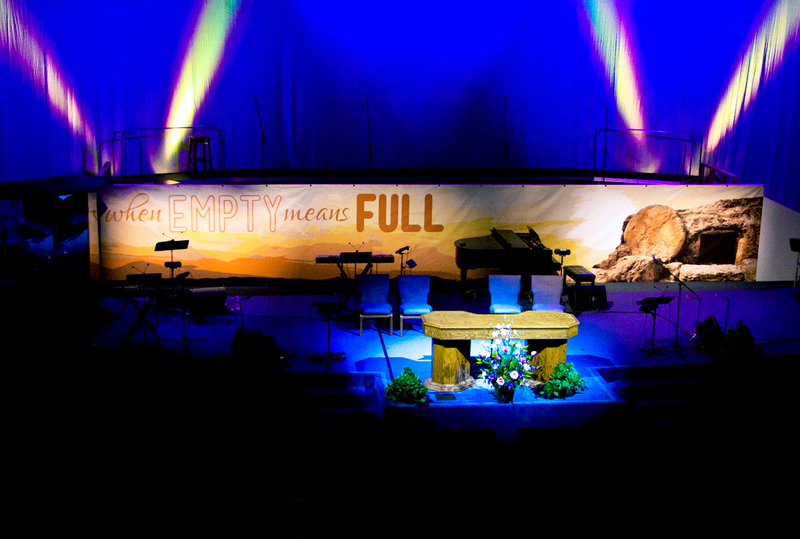 I was able to incorporate the title I came up with for this year's Easter message, When Empty Means Full, and a cool tomb image. I spent some time playing around combining some sunrise imagery to come up with the final banner. I turned the final image into a vector to make the image quality look really sharp. Combined with the excellent lighting skills of the tech guys, the banner really popped on Sunday.